Mountain Dream's late bay black herdsire out of a Chilean gray import by Equinox Eternix, a wonderful gray son of Camilio. Though small in stature, this hasn’t stopped Pali from producing 9 nice cria, including 5 girls, ranging from 16-19 lbs at birth. She is a doting mom and is very easy to work with. She carries both Hemingway and Olympus bloodlines. 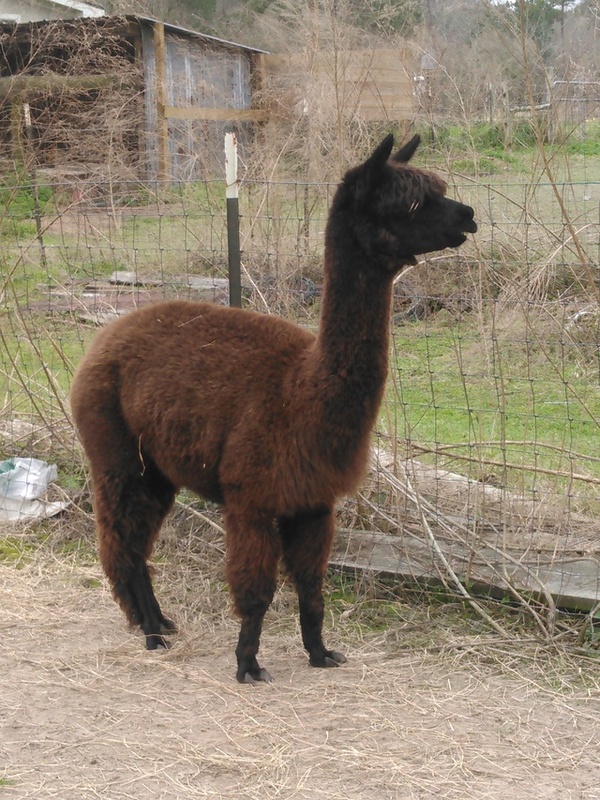 Bay-black, with gray genes on her bottom side, she gives her super soft fiber to all her cria. 2015 OFDA2000 results in - at 13 years of age - 25.0mc AFD, 4.8mc SD, 19.2mc CV, 24.0mc SF, and 88% CF. This petite, bayblack girl has fabulous bloodlines. Hemmingway, Olympus, Camilio, Eternix. 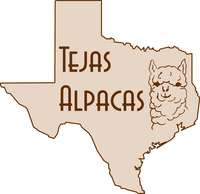 Both sides carry gray, so breed her to gray and high chance of gray crias. Really nice head and conformation. 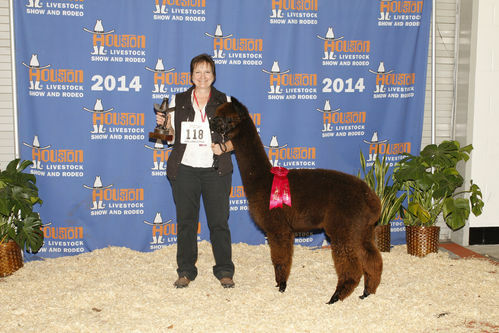 Her mom always passes on her Hemingway softness, so I can't wait to test her fleece this spring. Truffles had a 18.1 lb. 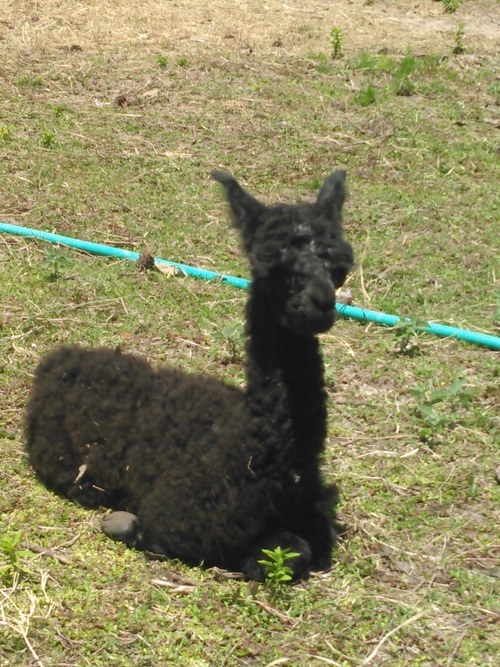 jet black male cria on April 26 by Dundee's Katmandu. Looks like she takes after her mom. 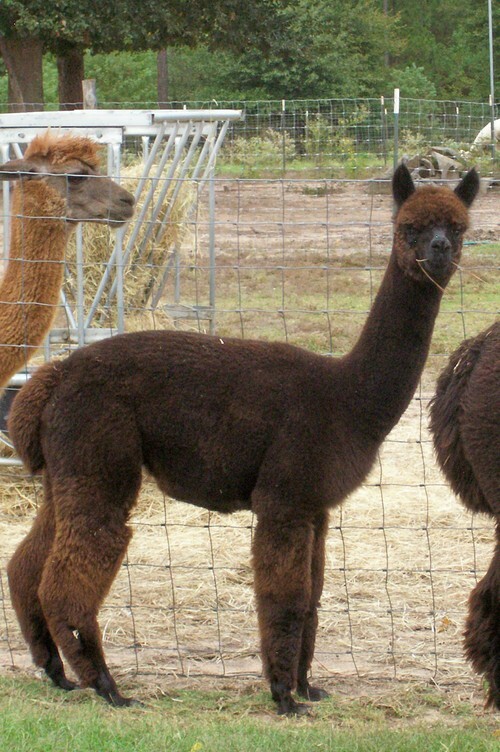 Even though she is small, she has big cria with ease. Cria was weaned off October 19, so she is ready for breeding.